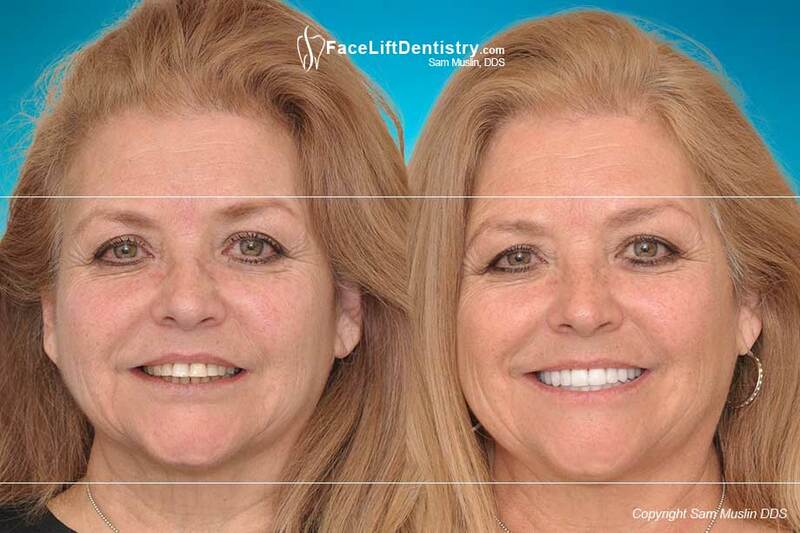 Face Lift Dentistry® is a comprehensive functional and aesthetic transformation that goes above and beyond cosmetic dentistry and porcelain veneers by combining functionality with aesthetics. This method is about improving the jawline, the facial profile, gaining lip support, reversing the effects of aging, the ultimate smile and doing it while simultaneously correcting overbites, underbites, jaw pain, headaches, without surgeries and without drilling down your healthy teeth. Most people and dentists do not understand that improving the shape of the face, the facial profile, chin size and chin position, is possible with this method. Especially when the treatment is non-invasive, non-surgical, is almost painless, and is completed in 2 five day visits. The cosmetic benefits to the entire face are achieved through bite optimization. This website documents actual case studies combined with before and after videos results. Porcelain veneers cannot improve your chin size, jaw size, correct your bite or improve your facial profile like VENLAY® Restorations. We start with JawTrac®, then VENLAY® Bite Restorations that are combined with the Face Lift Dentistry® Method to “optimize” your functionality and aesthetics that have a big impact on self-confidence. Ten upper and ten lower porcelain veneers could not improve the bite or the size of his small recessed chin. VENLAY® Restorations did. 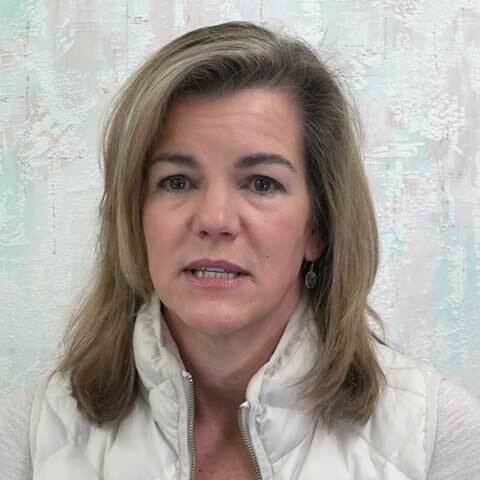 Daily headache relief, small chin is larger with new JawTrac® jaw position, overbite correction and VENLAY®, no surgery, no braces, no dental drilling. No drilling down teeth, and no shots needed. 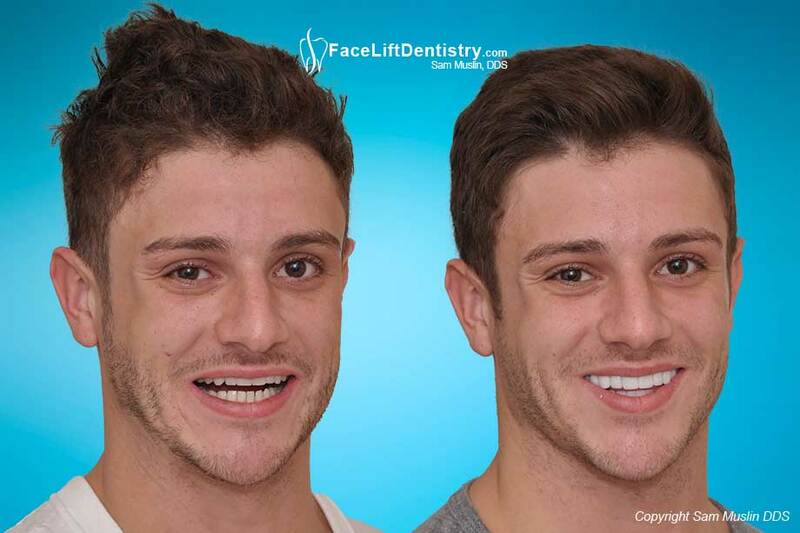 His underbite was structurally corrected and his profile improved with non-surgical VENLAY® Restorations. 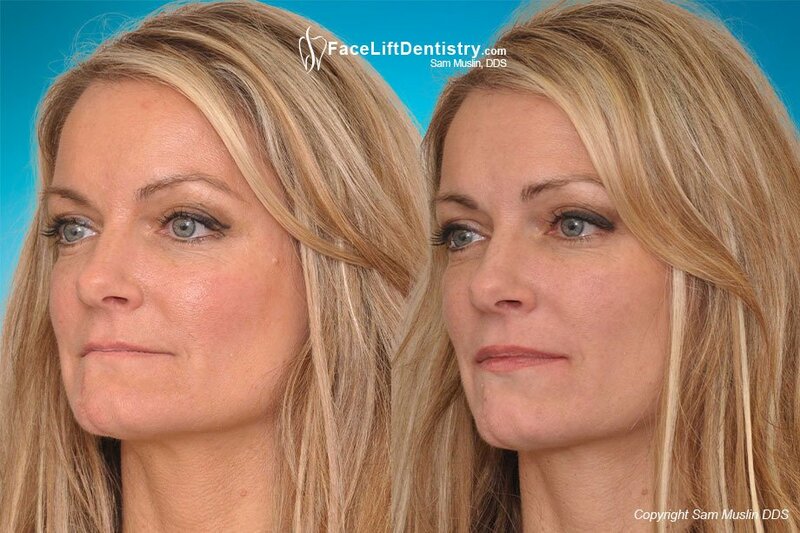 Face Lift Dentistry® is unlike any other treatment choices that are available to you today. It is designed to optimize your aesthetics to the maximum, including your face, lips, profile, and it gives you a broad smile from every angle that is beyond the most natural looking veneers. It improves your speaking clarity, tongue space, airway passage, and it can reduce TMJ pain, headaches and reverse the effects of aging at the source. The Face Lift Dentistry® Method optimizes you without drilling down your healthy teeth, without jaw surgery, braces or clear retainers and it takes less than a month with cost starting as low as $30,000 for the upper or lower teeth. We are living longer than ever before, and the right jaw position helps us look and feel our best We can align jaws, reverse premature aging, improve health and correct overbites and underbites without the pain and risks of the other treatment choices. It all starts with JawTrac®. Now that we have an ideal JawTrac® jaw position, we need to have a way to hold that jaw position, support your face, correct the bite and create a smile beyond veneers and the solution is "no prep" VENLAY® Bite Restorations. Other choices of treatment drill away your healthy teeth, expose the inside of the tooth to infection, and can cause annoying tooth sensitivity to biting and temperature. VENLAY® Bite Restorations are bonded right over your healthy teeth. Now that you have your ideal jaw position and VENLAY® Restorations, you have the best possible non-surgical shape to your face, a new level of self-esteem, jaw comfort, a new facial profile, a smile beyond veneers and you have facial support by using the Face Lift Dentistry® Method. No other method is so safe, so quick and effective with improving your health and functionality with huge aesthetic and health benefits. 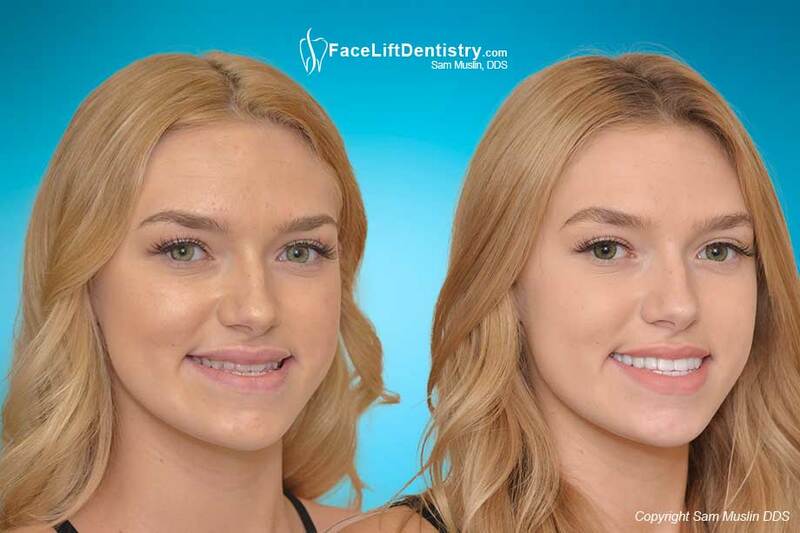 Correcting your bite without orthognathic jaw surgery or braces is not only possible but will most likely deliver superior results. Instead of having your jaw cut and spending time in the hospital, followed by months in braces, you can let the non-surgical JawTrac® painlessly align your jaw. With JawTrac® you will be able to experience the difference with the new jaw alignment, and you will be able to see the difference to your face before treatment starts. You cannot do this with jaw surgery or braces or clear retainers! Once you love the look and feel of your new jaw position, we start making the no-prep VENLAY® Restorations to make your new jaw alignment a reality. JawTrac® Alignment and VENLAY® Bite Restorations are part of the Face Lift Dentistry® Method. This treatment improves the health of the patient without the risk of grinding down healthy teeth or the risk of jaw surgery by coordinating the function of the teeth, bite, jaw position, jaw alignment and TMJ. This method relieves pain, helps patients feel better, sleep better with an improved airway passage. By using JawTrac® alignment and VENLAY® Restorations, the jaw position is corrected painlessly without force or surgery. A facial transformation that helps her look younger, feel younger, optimized profile, improved airway for better sleep. 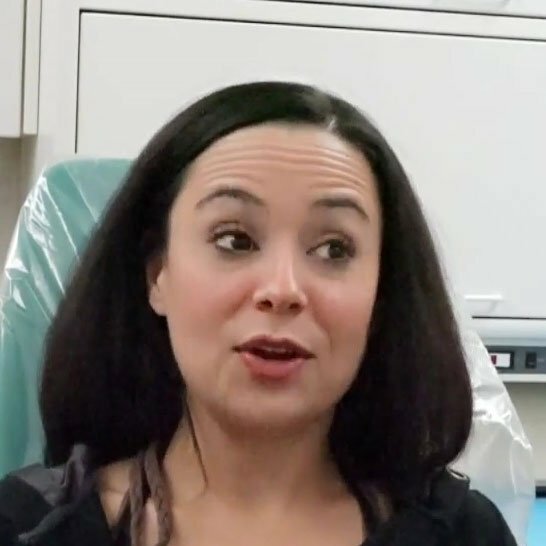 Optimized her bite to her facial structures, looking younger with improved facial support, no fillers, no Botox®, improved airway. 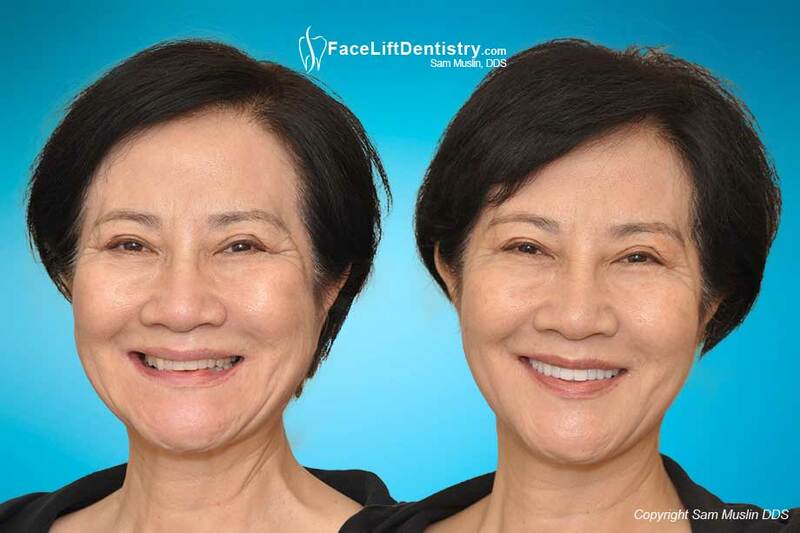 Small teeth and early facial collapse reversed with bite optimization, gained lip support, facial support and reversed the effects of aging. An underbite is typically corrected with no shots, no pain, no grinding down teeth. 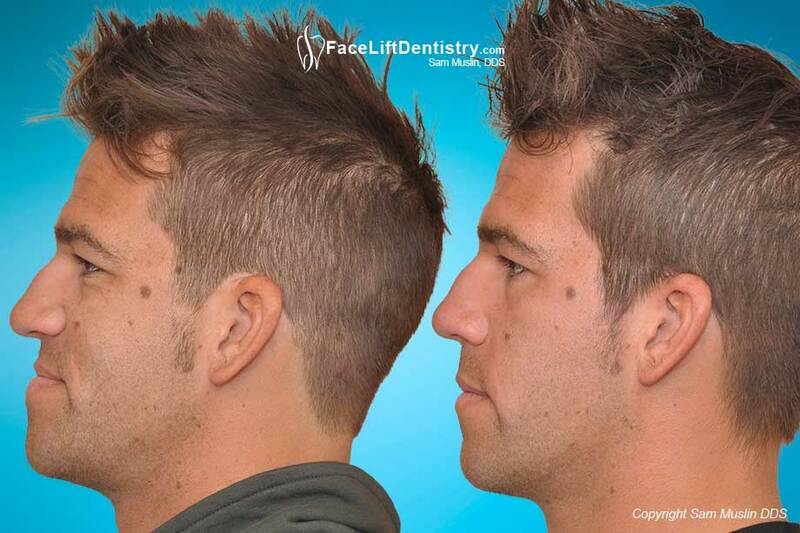 Large looking jaws and a protruding jawline can now be treated using this method. Don't get fooled - this cannot be done with porcelain veneers and cosmetic dentistry. Patients that have facial collapse and premature aging, get headaches, clicking jaws and small looking chins generally have deep overbites. 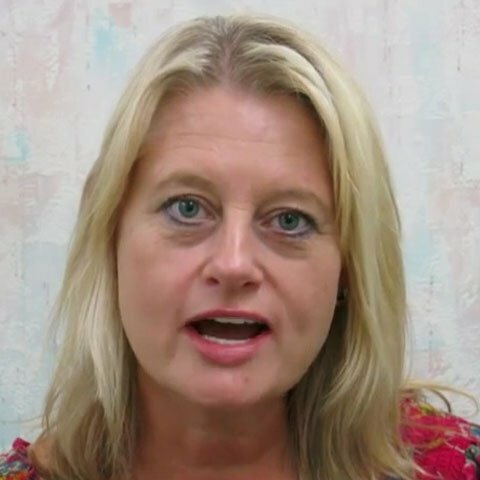 The small looking chin position is an unnatural position that caused headaches and jaw clicking and popping along with sleeping problems and airway passage problems. 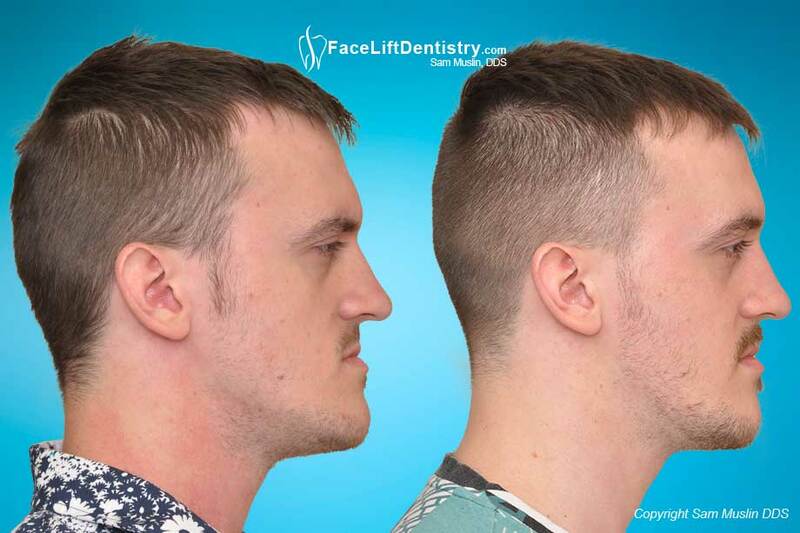 When the deep overbite correction was completed it allowed the lower jaw to be in a healthier forward position that makes the chin appear larger which is it's actual size. The healthy jaw position can relieve the headaches, instantly improved the facial profile, and stopped the jaw from popping. In reality, the overbite chin was always normal in size but the overbite made the chin look small because of the chin position. The chin size improves and premature aging reverse when the overbite is corrected using the Face Lift Dentistry® method and the non-invasive VENLAY® restorations. The purpose of the treatment method is to establish the right functionality and maximum aesthetics for the patient. 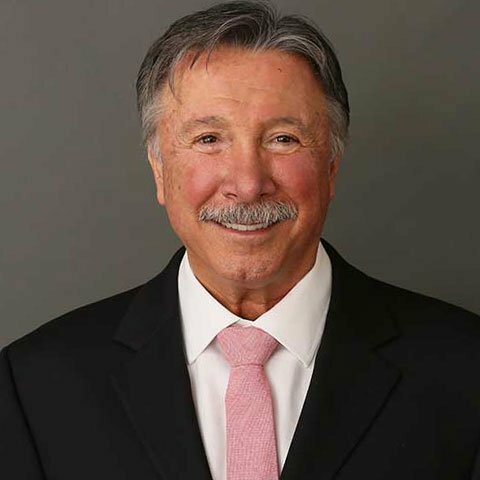 Dr. Muslin says: "By building porcelain VENLAY® Restorations over each individual tooth, and by using the specialized imaging method, this dentist can see what is being done to the jaw position. 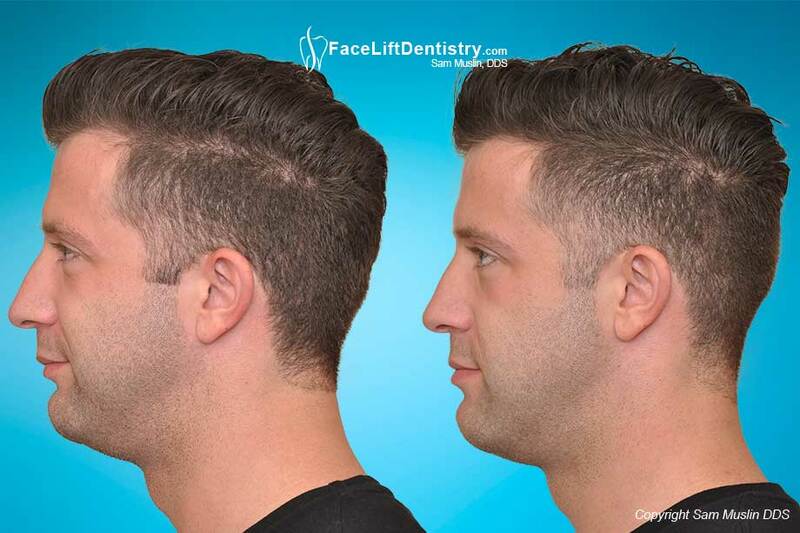 Instantly, the patient has a bigger chin and better facial profile during the JawTrac® Alignment testing process, and when the overbite is corrected. 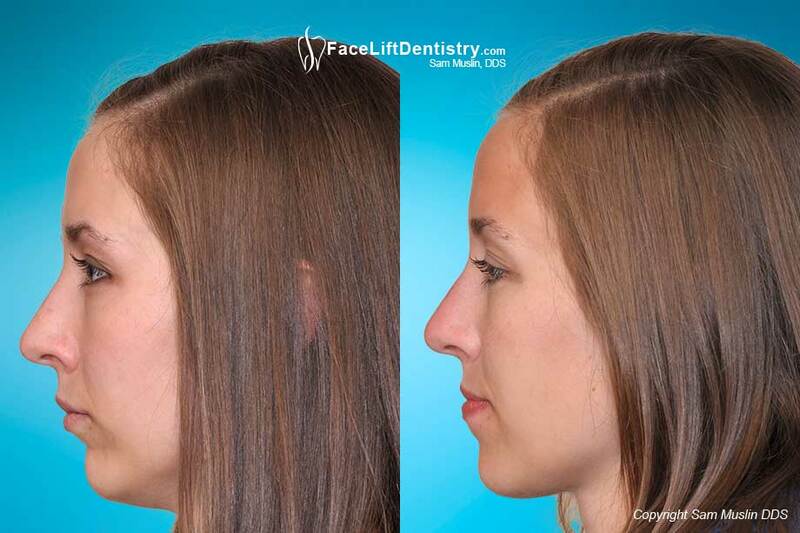 The new jaw position increased the size of the appearance of the chin and improved the facial profile. Big smile, masculine chiseled chin, improved chewing power and jawline, overbite corrected. Locating the best jaw position for the patient is now more predictable than ever using JawTrac® that allows patients to experience an immediate improvement in the size of their chin. Only upper teeth treated, no dental drilling his healthy teeth, no shots, no pain, did not smile much before but now has a boost in self-confidence and a big smile. Everyone with an underbite that has seen a dentist and a specialist and was told that their only choice to correct the underbite was jaw surgery and years of braces. Yes there are a few dentists that claim to fix underbites with porcelain veneers, but veneers don't correct the under bite and don't improve the facial profile, don't correct the jaw position, have zero health benefits and don't correct the jaw line or the shape of the face. When Dr. Muslin corrects an underbite with his no tooth grinding VENLAY® Restorations and the Face Lift Dentistry® method, the patient gets to see the porcelain in their mouth and experience the results with office lighting and with sun light outside the office before the restorations are bonded. This is a huge advantage for the patient as changes can be made and there are no surprises. You cannot see your final results with jaw surgery and braces until it's too late.